Are you a returning customer? Take advantage of these great discounts. Enjoy! 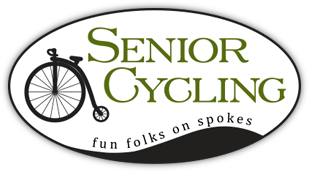 If you’ve ever toured with Senior Cycling before, we’ll give you a $50 discount at the time of final tour payment. 2. Back in the Saddle AGAIN! More is better! When you register for a 2nd tour (or more) in the same year, take $100 off your final tour payment! Bring along a friend or family member who hasn’t ever toured with us before and we’ll give you $100 off, and $75 off for your buddy. Register while you're on one of our tours and get a special additional 5% off!